mostly, i’m posting because i want to share something with you. i want to bring you the most important page of my thesis. honestly, i just want to share it. but i also think it will get me somewhere in this conversation i began last week regarding creative practice and its relation to solitude and community, which – i have to say – is a rich quandry. 1. the best work space is one where i can concentrate, therefore, it doesn’t involve other humans. which, therefore, means working alone. not quite solitude. not quite isolation. not even quite aloneness. but something about solo-ness? 2. throw item number one up against this one. mostly, i feel like my writing wants to address every human in the world. wants to fight for them. wants to break them open and hold them. wants to tell them they are not alone. ironic? 3. so what it breaks down to is: i isolate myself in order to write things that i hope will connect me to all the humans in the world (and to connect them to each other)? weird. 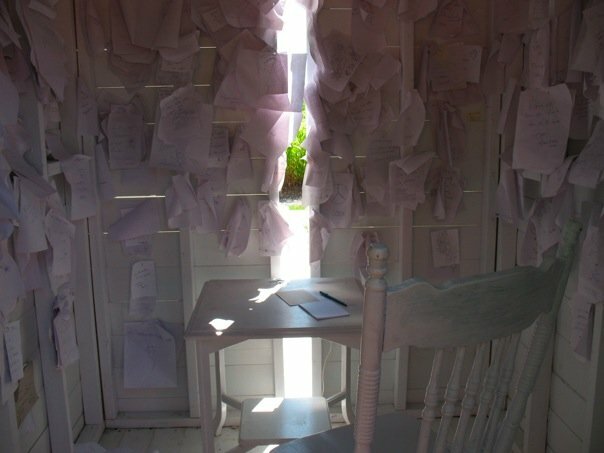 what are the things that bring those of us who write in isolation together? workshops, conferences and symposiums, social practice, residencies, writers groups, readings, classes and writing programs. i’ll want to dig into the above later (perhaps in the next post.) for now, i just want to sit with that – and allow you to sit with it too. it feels painfully obvious, but it rarely is to me. (mostly, i just think i spend a lot of time alone. which i often don’t mind. but i am aware of this pattern of isolation i engage in that, because it repeats itself, can be damaging.) so it just feels important to stand back and recognize that while i spend all these ridiculous hours isolating myself to get work done, i’ve also spent some great time building and being a part of creative/literary communities. i also want to say that the dedication page is true. i’m not sure i’ll ever be able to fully get behind the idea of putting a new book out into the world (when there are already too many of everything, when the book will be made of trees, when it might ride a wave for a little while but then get sucked out to the great sea of unknown poetry books), until i think about it as not just a book of poems, but as an offering. 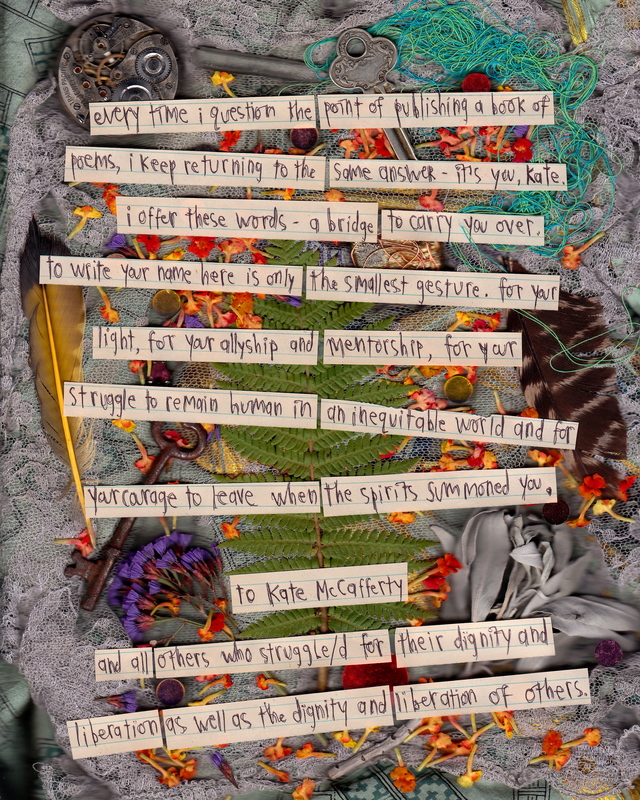 a gesture of gratitude for all the people whose spirits sat with me while i, word by word, worked my way through it. open-heart surgeon in a sequined mask. Happy birthday, Nola Studiola! You're 1!